Wisdom of Life. 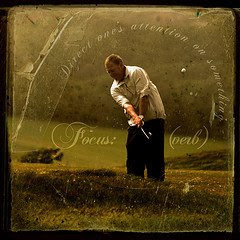 : Focus leads to success. Most of my clients like to deal business with me because they know I am 100% a Life Insurance Person. My main source of income is from insurance and I don't involve in any other business. Although the early path was difficult during these twenty six years, I did not fade from my career. There were many other tempting opportunities during this period, but they never influence my heart and mind to deviate. I have always being faithful and royal to one principle company since started. I had learned and relearned on my work. I had served four CE Os of my company and had seen countless agents, staffs and directors resigned or retired. Knowing my job isn't enough but to love and have passion on it is even more important. I consider myself as a true professional specialising in insurance. Each time I close a case, I promise I will deliver, no matter what happen. My total commitment leads me to full trust with all my clients. My work is much simpler today, when most of my prospects and clients don't doubt my words any longer. How I wish, everyone could just specialise in one field or profession to make a living. Things would be much easier and less complicated. When I am sick, I have my personal doctor who knows me well. I have a full time tax manager to handle my account. An efficient lawyer to advise my legal matters when needed. A qualified motor technician to serve my cars. They only specialise in one trade to make a decent living. And I am their simple life insurance agent to them. We trust each other on our work that matters. What about you? Are you focus? Do you know what you really want? If you want to succeed in selling, just be honest with one particular product and remain faithfully with one company which offers you the opportunity. The rest, time will tell. Food for the thought - "Your greatest asset is your earning ability. Your greatest resource is your time" - Brian Tracy. I asked my agent/recruiter what makes her think I can do this, as (I am now the the first to be recruited in their new agency). Her answer was that I am self-motivated and believes in insurance. I hope she is right,I am not sure if I can do this full time right away. The best person that knows u better, will be yourself. You can listen from the outside but the final decision is still yourself. Be honest and fair to yourself too. You should know what you like and what you want. If your heart & mind has the confidence...then by all means do it full time. Very seldom part-timers could succeed in this challenging career. If you are not a couragous person, then most likely this career might not be suitable for you. I wish you best of luck.